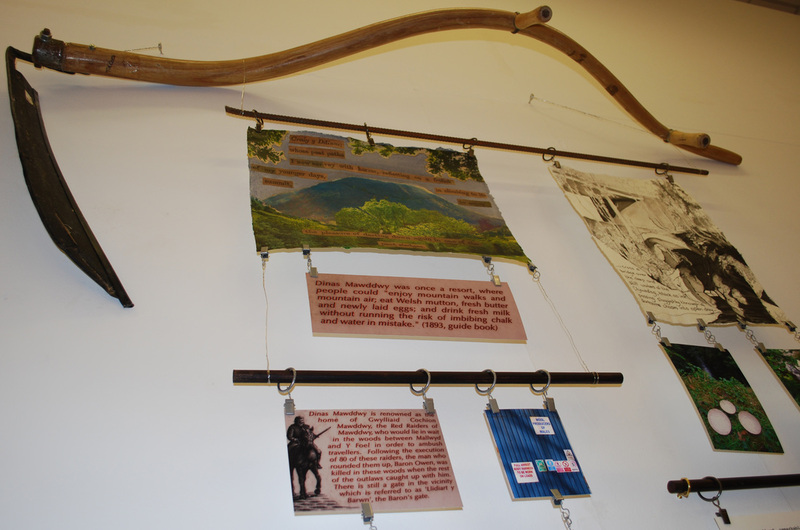 The traditions of the country respecting these banditti, are still extremely strong. 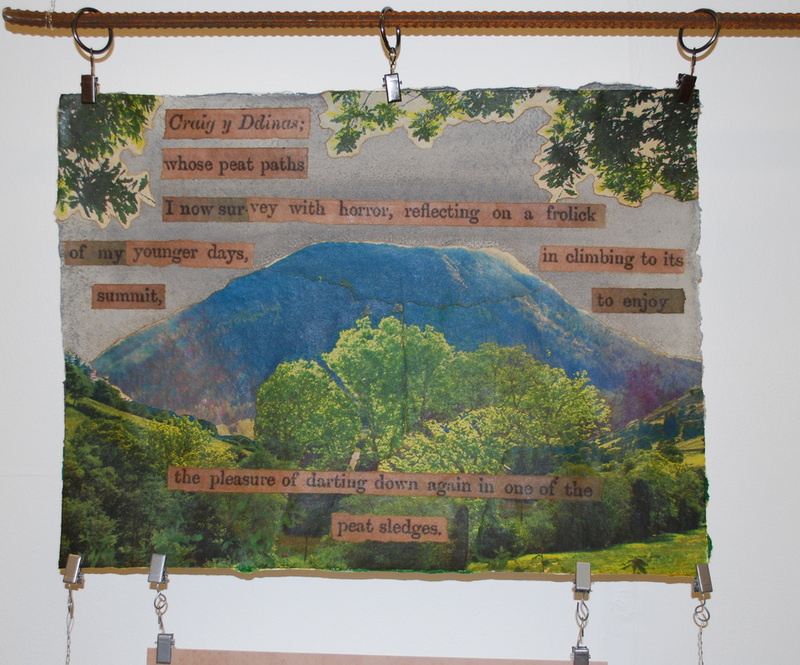 I was told, that they were so feared, that travellers did not dare to go the common road to Shrewsbury, but passed over the summits of the mountains, to avoid their haunts. 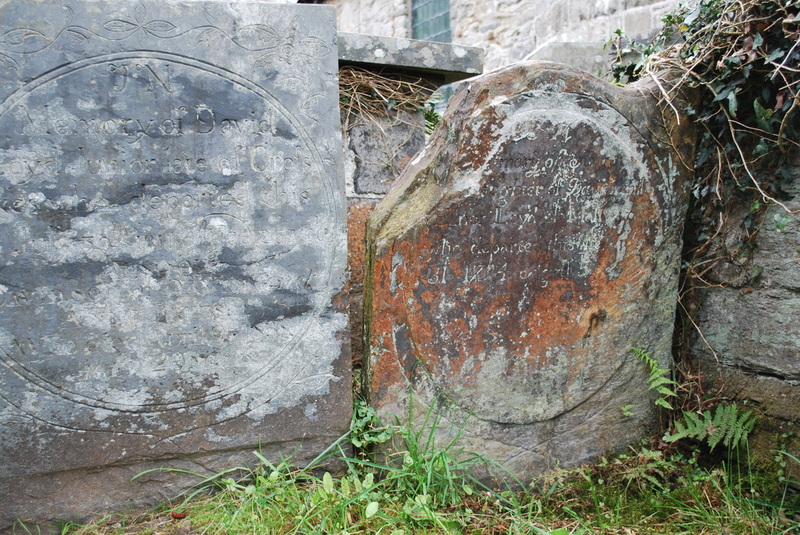 The inhabitants placed scythes in the chimneys of their houses, to prevent the felons coming down to surprise them in the night; some of which are to be seen to this day. 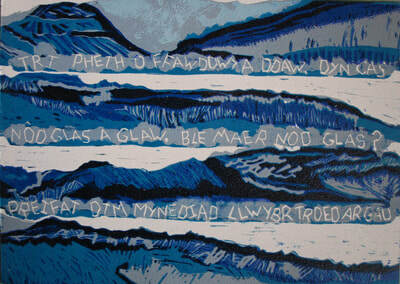 This race was distinguished by the titles Gwyllied y Dugoed and Gwylliaid Cochion Mowddwy, i.e. 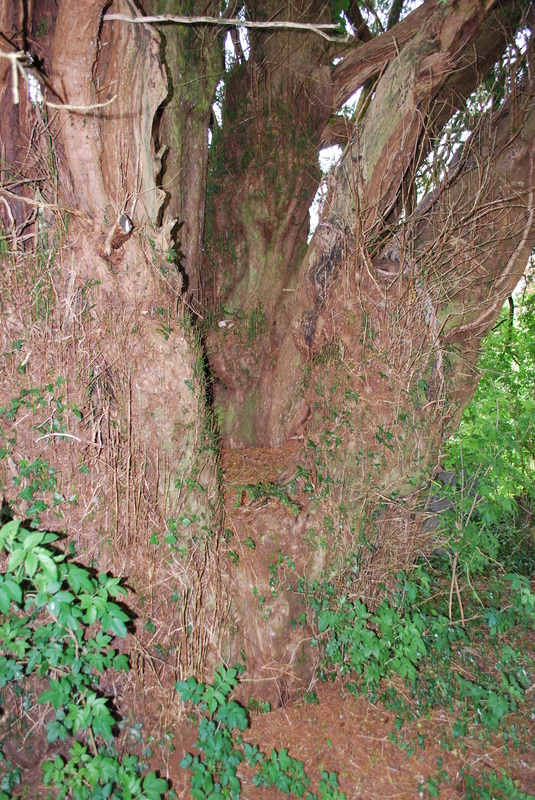 The banditti of the Black Wood, and the red-headed Banditti of Mowddy. A Tour in Wales, II, 84. 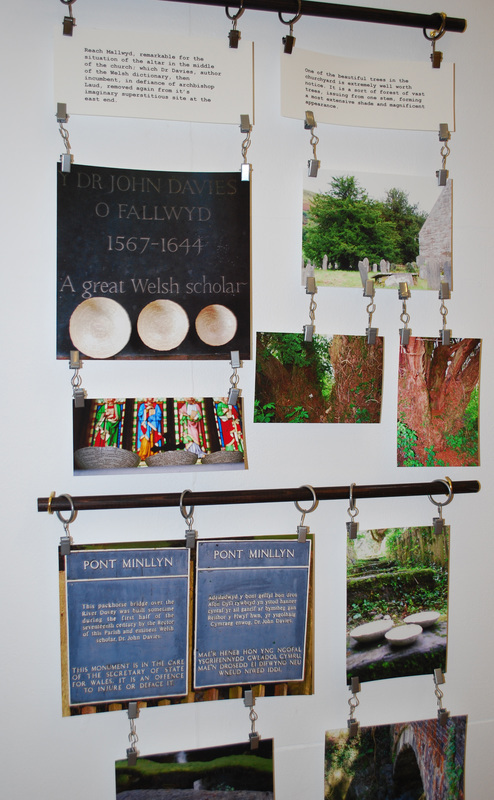 The scythe in ‘Dinas Mawddwy – Mallwyd’ represents the Red Raiders of Mawddwy who terrorised the area for generations following the Wars of the Roses, severely curtailing movement. 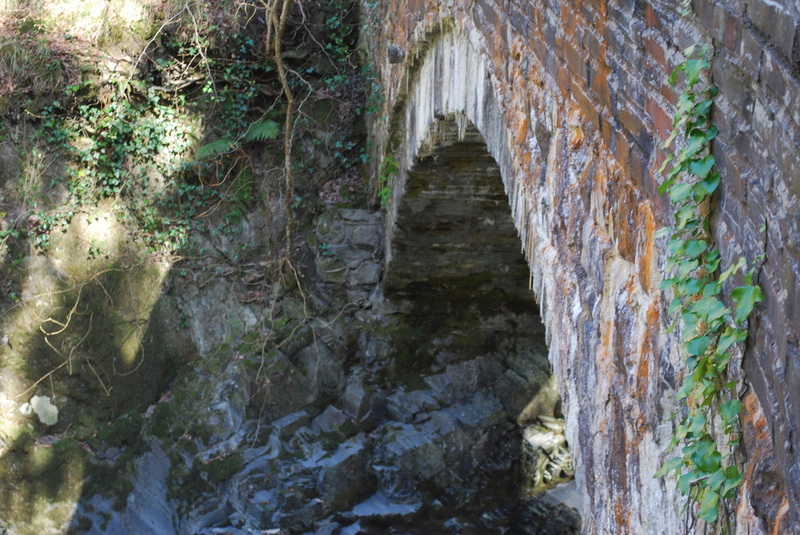 By the eighteenth century, Pennant could travel freely but in trying to trace his route, I realised how much more restricted my access to the countryside was. 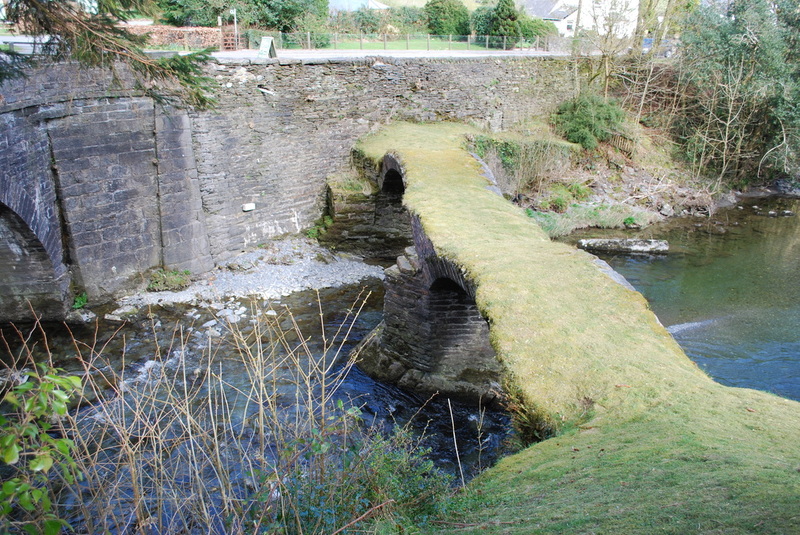 I was met by fences, ‘keep out’ signs, and derelict bridges, though I did find Pont Y Cleifion, (Pennant mistakenly thought it spanned the Clywedog) the beautiful bridge he crossed on entering Mallwyd – now all but hidden beneath the road bridge. 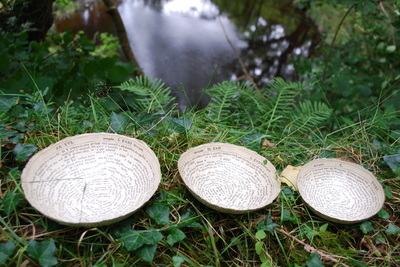 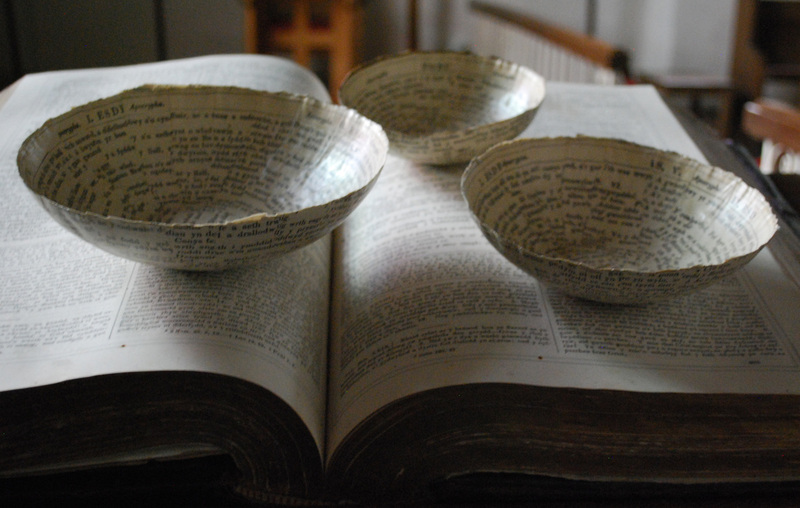 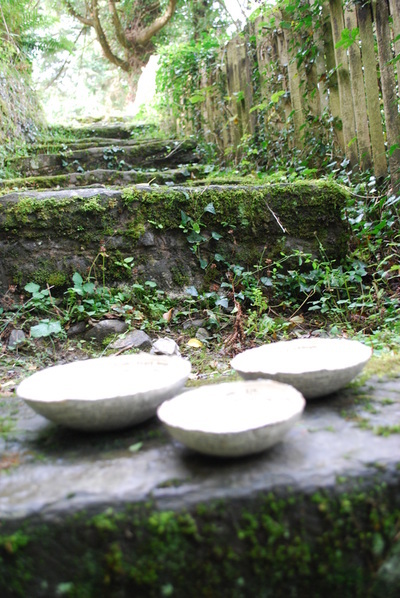 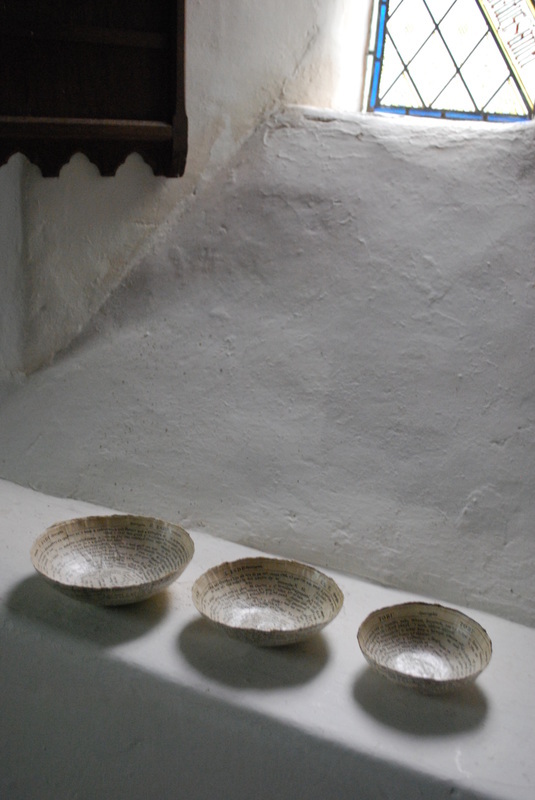 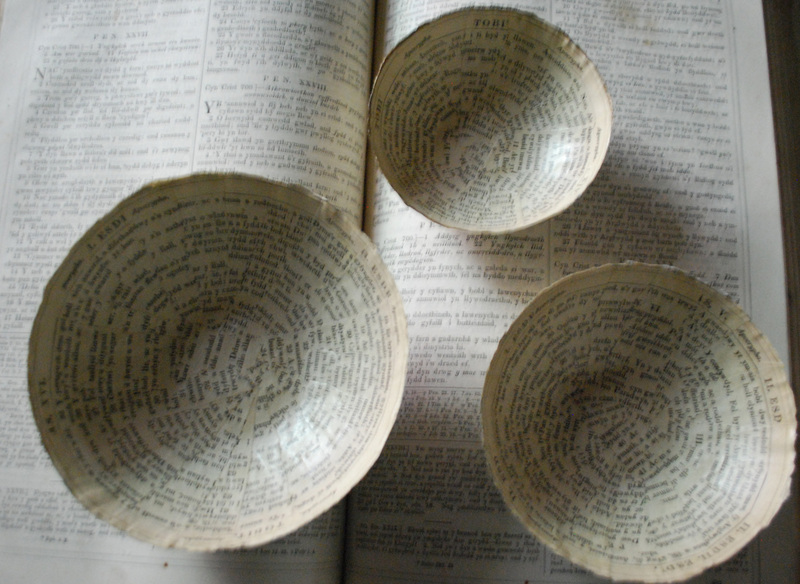 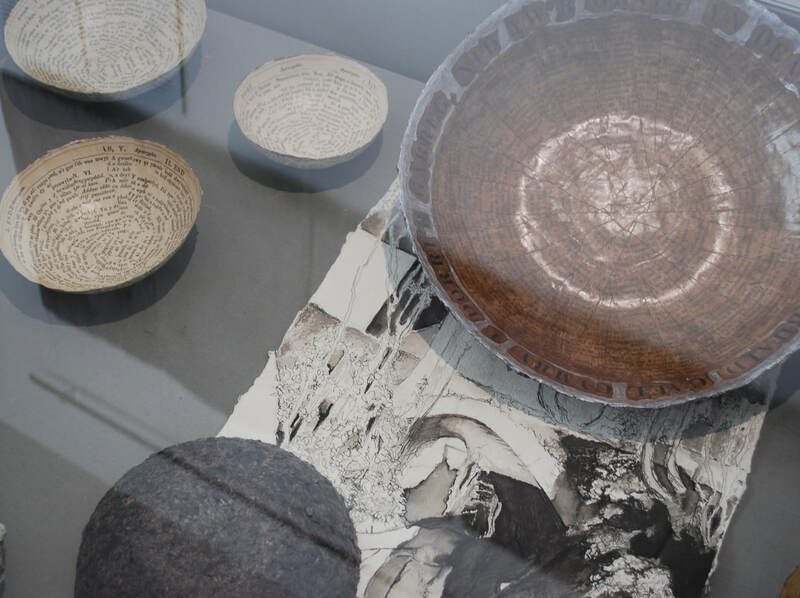 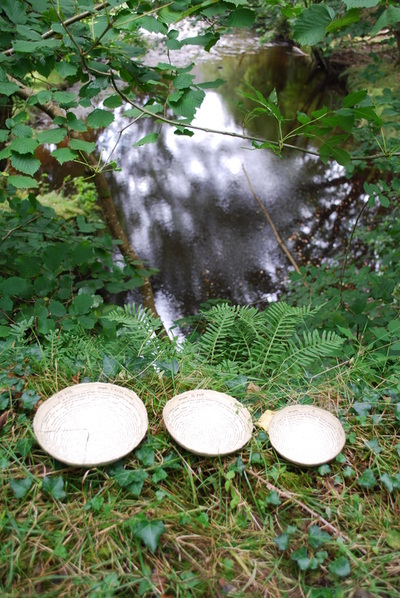 ‘Three Bowls for Dr Davies’, made from old Welsh Bible paper, refers to Dr John Davies of Mallwyd, one of the first translators of the Bible into Welsh, who built three local bridges (including Pont Y Cleifion). Cyfeiria’r bladur yn y darn ‘Dinas Mawddwy – Mallwyd’ at Gwylliaid Cochion Mawddwy, a deyrnasai’n llym dros yr ardal am genedlaethau yn sgil Rhyfeloedd y Rhosynnau, gan atal symud a theithio yno. Erbyn y G18fed roedd Pennant yn rhydd i deithio; ond wrth imi geisio dilyn ei lwybr ef, sylweddolais ba mor rhwystredig oedd fy mynediad i’r tir i’w gymharu ag e. Cwrddais â chlwydi, arwyddion ‘cadw allan’, a phontydd mewn adfeilion. 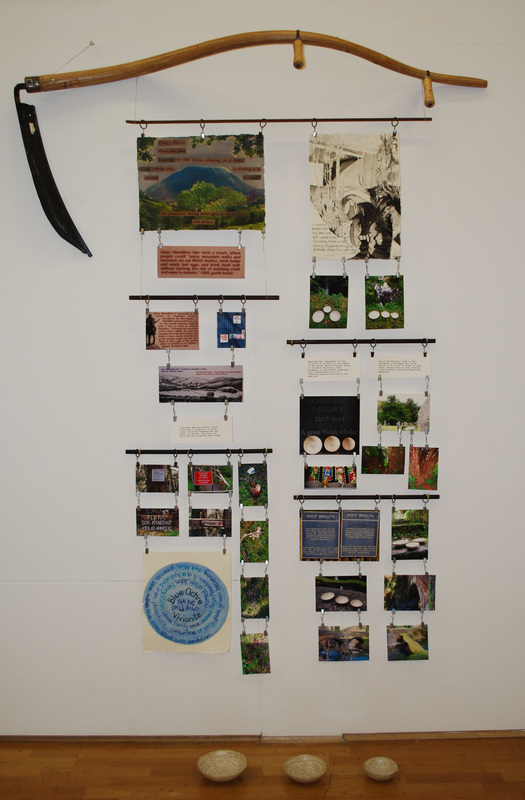 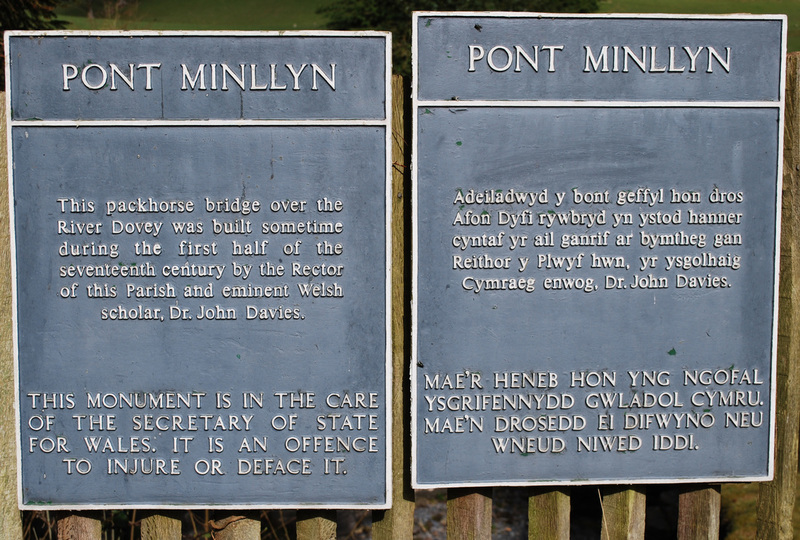 Serch hynny, llwyddais i ddarganfod Pont y Cleifion, y bont hardd iawn a groesodd Pennant wrth gyrraedd Mallwyd. 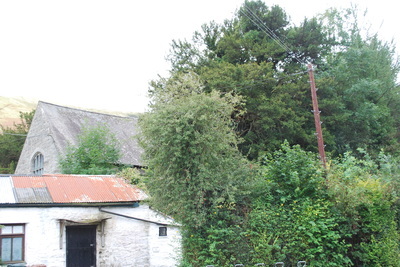 Erbyn heddiw, mae’n cuddiedig dan bont y ffordd fawr. 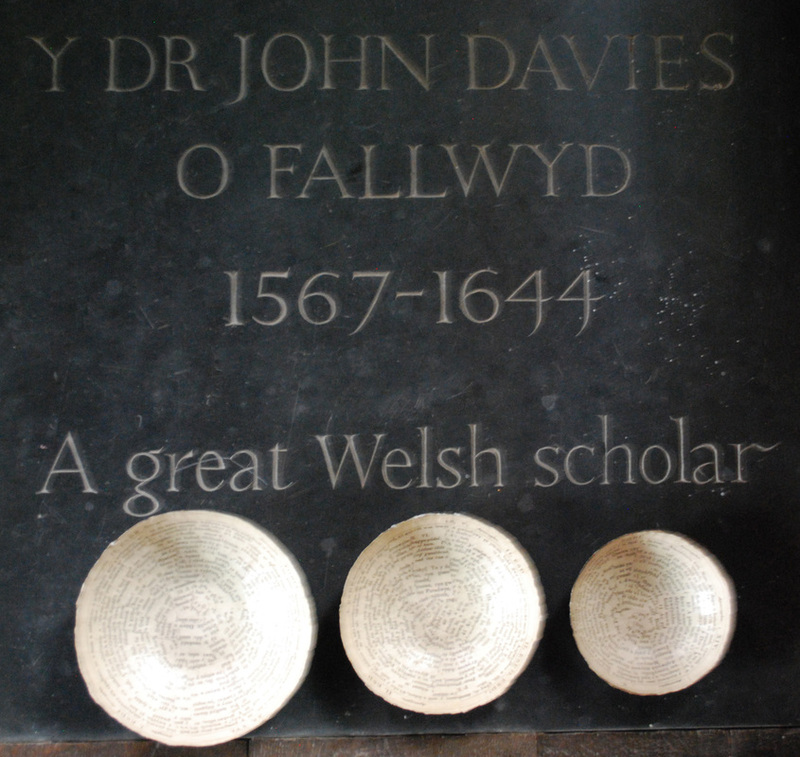 Mae’r ‘Three Bowls for Dr Davies’, a wnaethpwyd o dudalennau hen Feibl Cymraeg, yn cyfeirio at Dr John Davies, Mallwyd, un o gyfieithwyr y Beibl i’r Gymraeg, oedd hefyd yn gyfrifol am adeiladu tair pont leol, gan gynnwys hon. 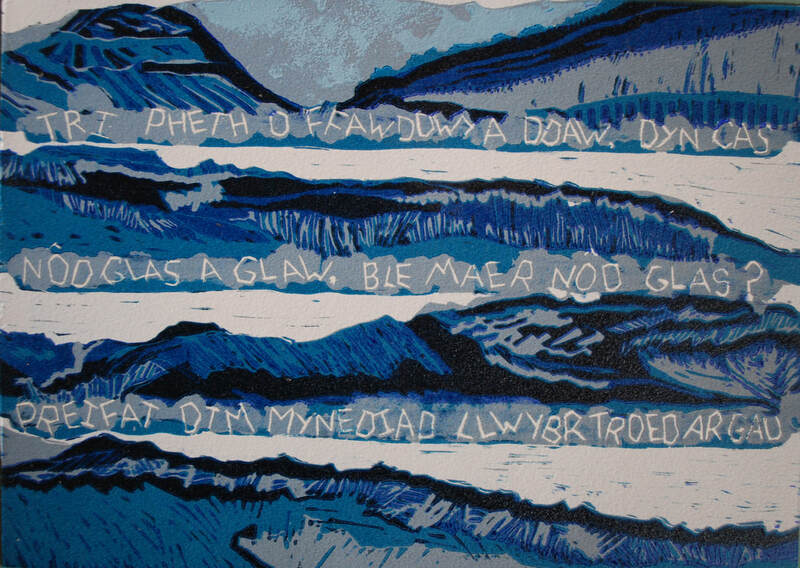 ......Craig Y Ddinas; whose peat paths I now survey with horror, reflecting on a frolick of my younger days , in climbing to its summit to enjoy the pleasure of darting down again in one of the peat sledges. 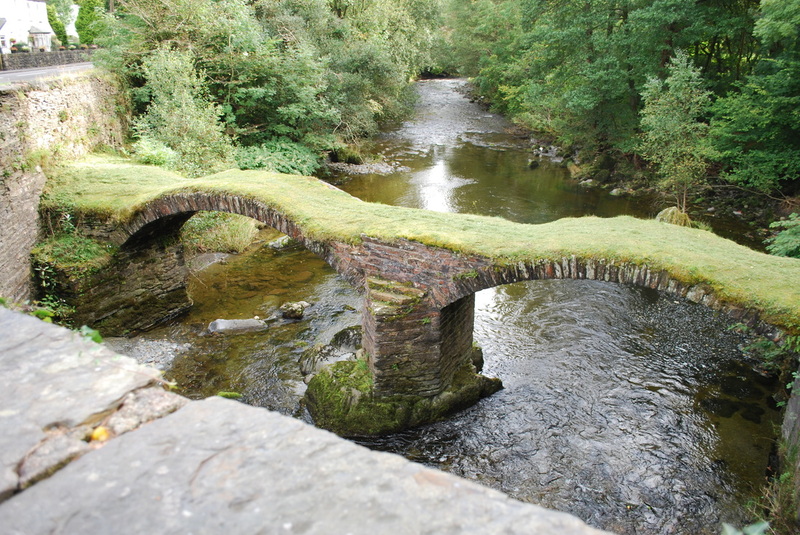 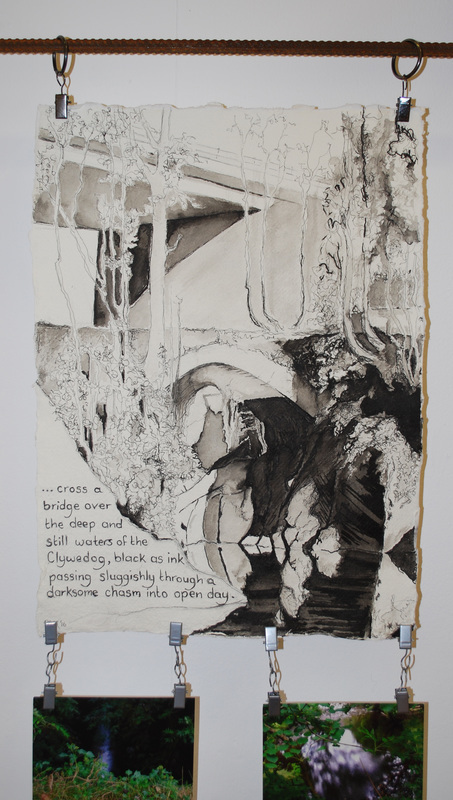 ..........cross a bridge over the deep and still waters of the Clywedog, black as ink passing sluggishly through a darksome chasm into open day. 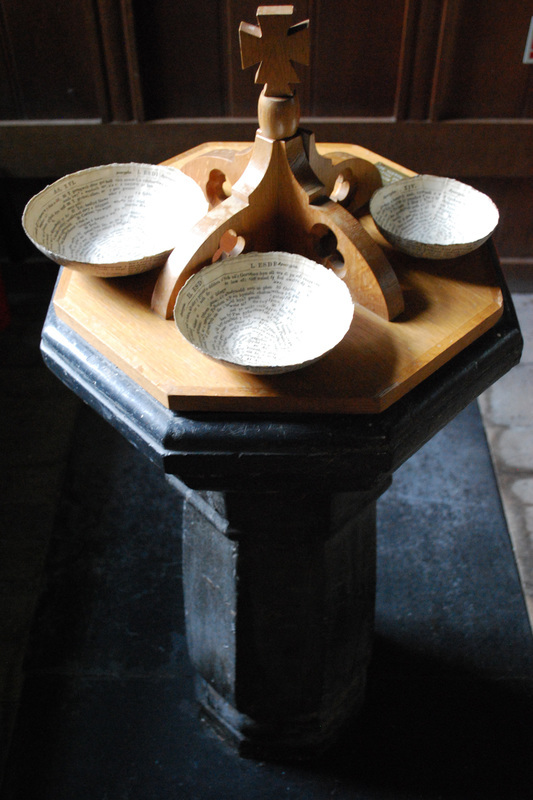 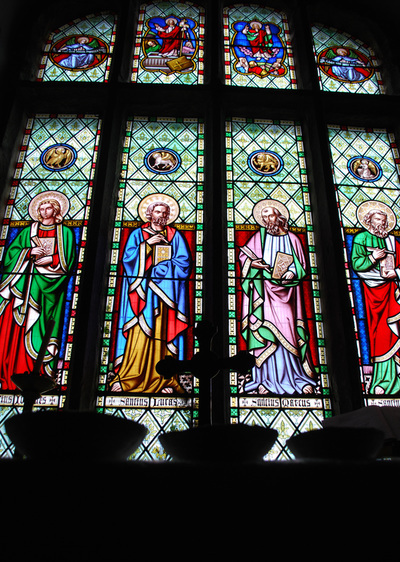 Reach Mallwyd, remarkable for the situation of the altar in the middle of the church; which Dr Davies, author of the Welsh dictionary, then incumbent, removed from it's imaginary superstitious site at the east end. 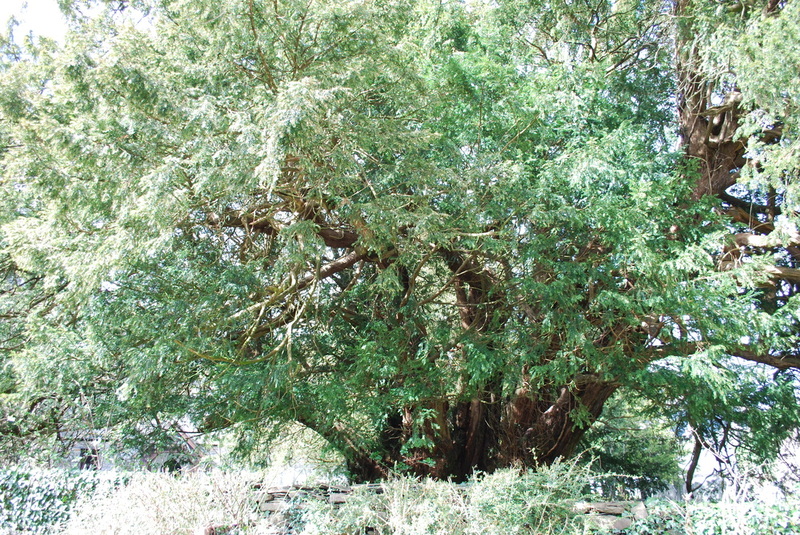 One of the beautiful (yew) trees in the churchyard is extremely well worth notice. It is a sort of forest of vast trees issueing from one stem, forming a most extensive shade and magnificent appearance. 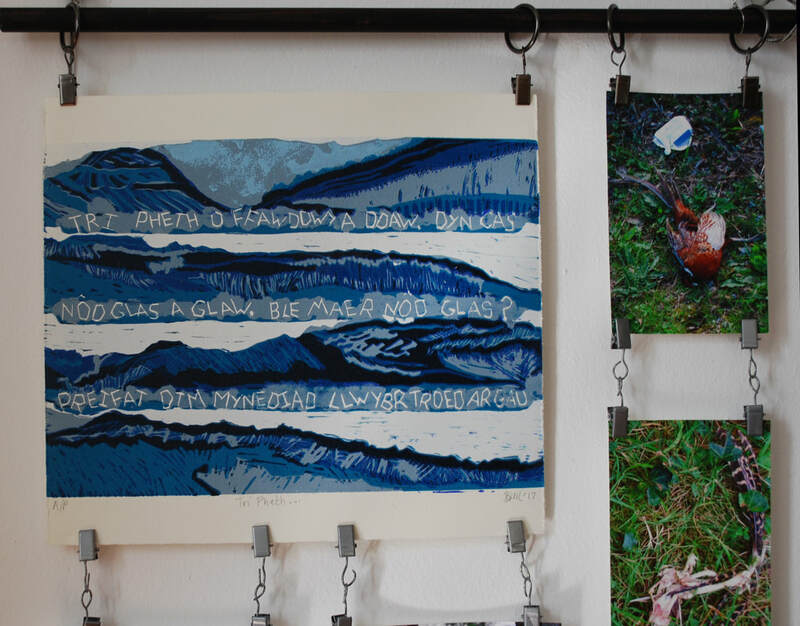 I may here mention an earth, which this place is noted for, a bluish ochre, which the shepherds wet and pound in a mortar, then form into balls and use in marking their sheep. 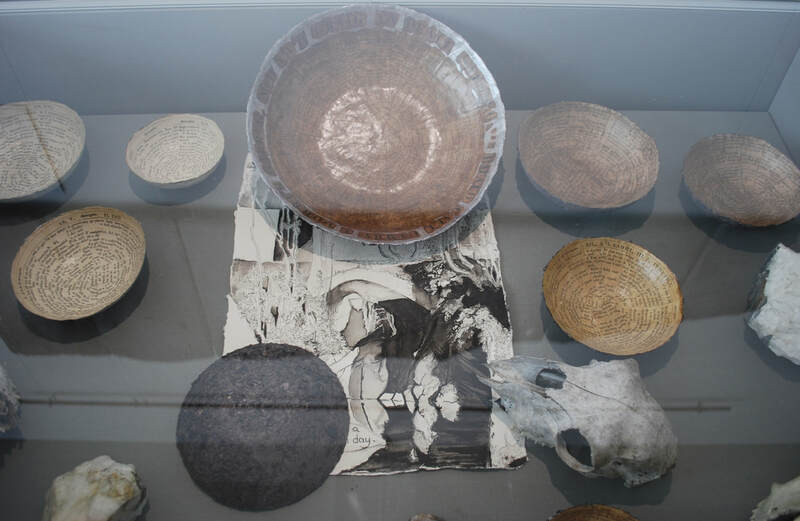 Cabinet of Curiosities at Old College, Aberystwyth.